I am someone who gets their flu shot every year. I have been for years- it's always been relatively simple to get them at work, since I have worked for large employers (and for a time, hospitals/major medical centers) who always have found it in their best interest to vaccinate their employees. The one year that my employer handed out FluMist (the nasal vaccine) I was even able to convince Rolf, a needle-phobe, to come in and get it too. I did get my standard seasonal flu shot in October, right on schedule. 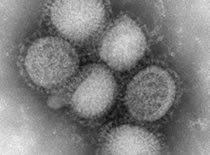 But this year, of course, the big news is not the plain old flu, it's the Swine Flu, H1N1. Between WHO Pandemic status and the fact that flu vaccines take awhile to make, there has been the conflict between the urgings of major national and international authorities to get vaccinated, and the lack of available vaccine. In the US, supplies have been scarce. In France, home to one of the major pharmaceutical companies manufacturing the vaccine, supplies have been plentiful. But that, of course, did not insure that I could actually get it. In France it is being distributed by the government in neighborhood based distribution centers. But you need to bring in the letter which documents your coverage by the French national health insurance, which I don't have (I'm covered by my US employer). I asked at work, and they had no plans to give out the H1N1 shots, because the government is giving them out. I asked my primary care doc here, and he did not have the vaccine, because the government was the only distribution point [although that has very recently changed]. Now, despite France being awash in vaccine, very few people here are getting it. Besides the usual (unfounded) rumors that the vaccine will give you other horrible problems, there was also a scare campaign that said that the pharmaceutical companies were behind the whole thing, just as a money making scheme. Conspiracy theories a-go-go. In the mean time a number of friends got the Swine Flu, and it sounded pretty miserable. I really did not want to get sick. There is no need to get sick, when there is a vaccine for this virus. I knew I would be traveling to the US in January. I asked if the occupational health center at the US work office had the vaccine- no. I called my primary care doc in the US, but they had already gone through the very limited supplies they had already. When I got to the US in late January, I had one final possibility: the CVS walk in clinic. I went, and 15 minutes later was vaccinated. They even took my insurance card and did not make me pay the $15 fee up front. It was such an uneventful occasion, despite the months of asking and 4000 mile journey that it took. The next day, I got the second round of the Hepatitis A vaccine (the first was before my trip to Colombia last year, from the work occupational health clinic). It's official- I now have all of my shots.